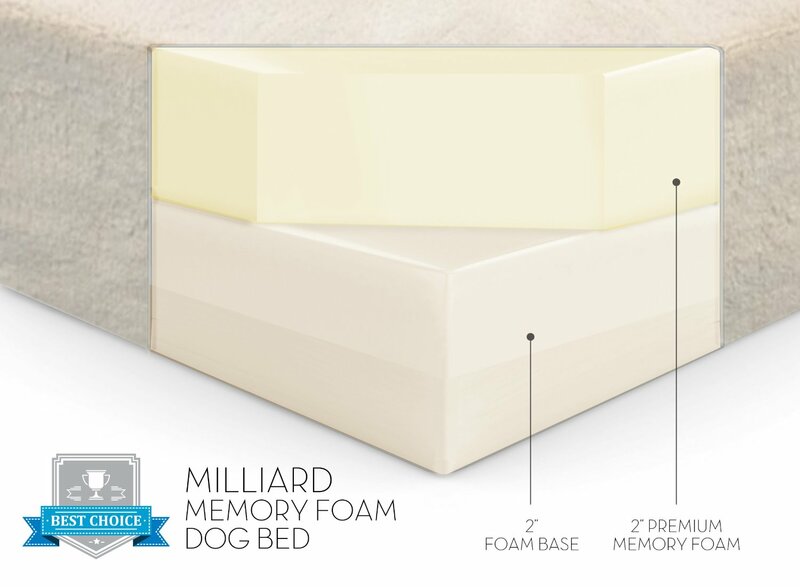 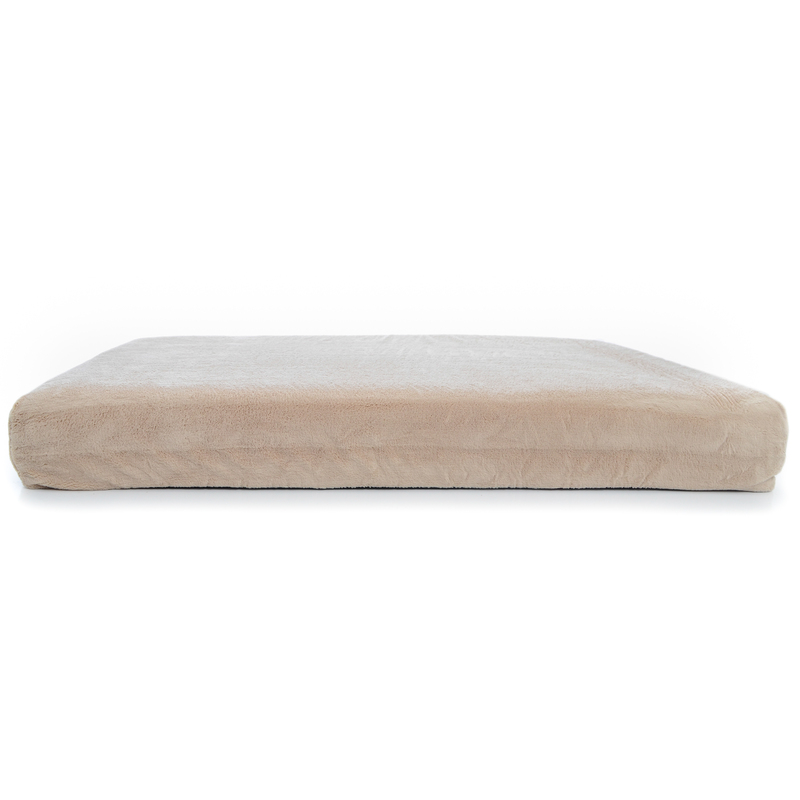 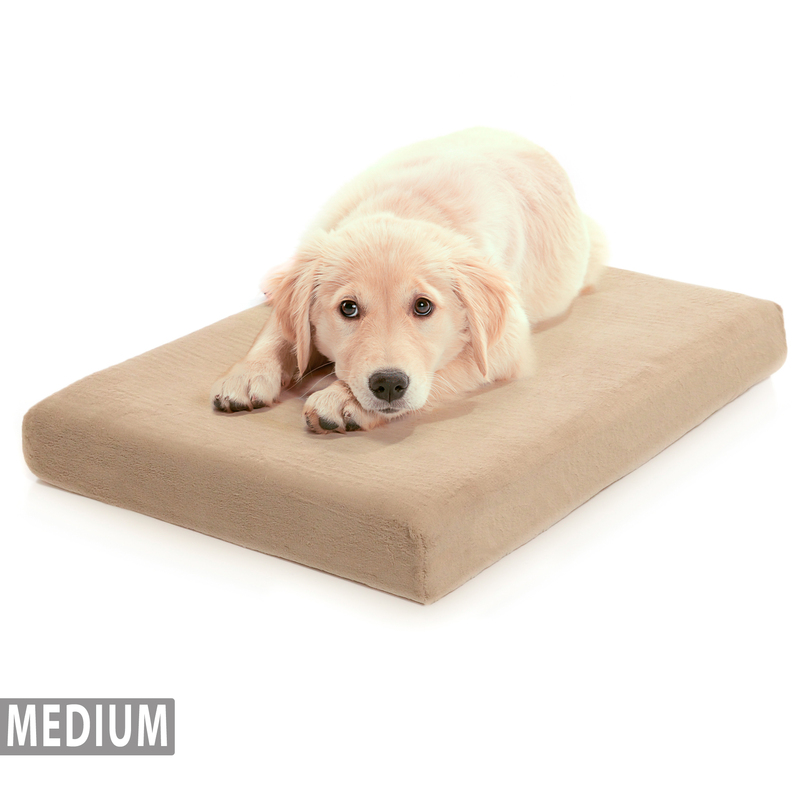 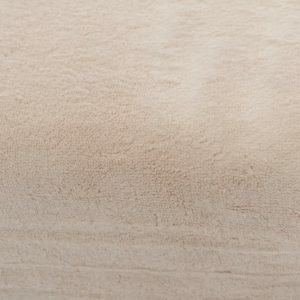 COMFORT – The Milliard 4″ Dog Bed offers the perfect combination of support and luxe comfort by combining a sturdy foam base with a luxe memory foam layer. 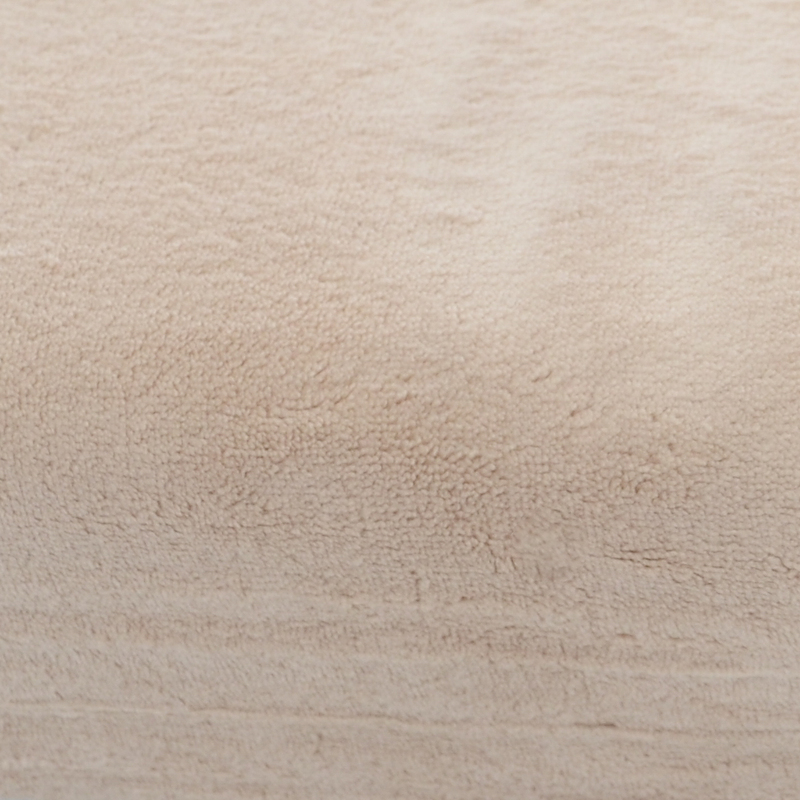 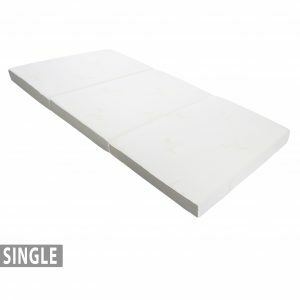 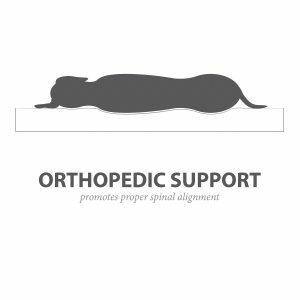 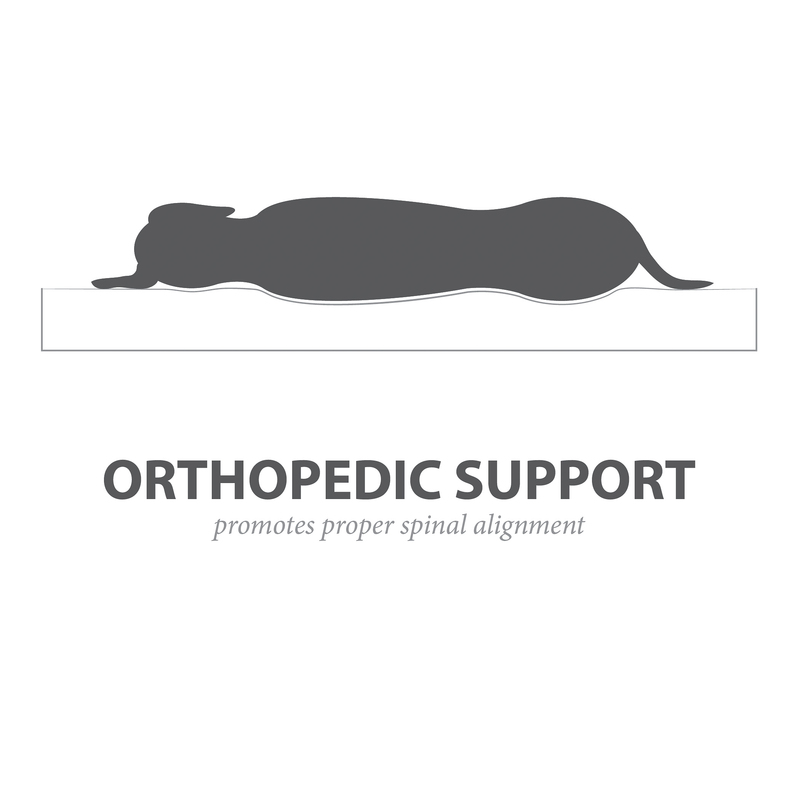 QUALITY – Made from durable materials and superior workmanship for a longer lasting bed. 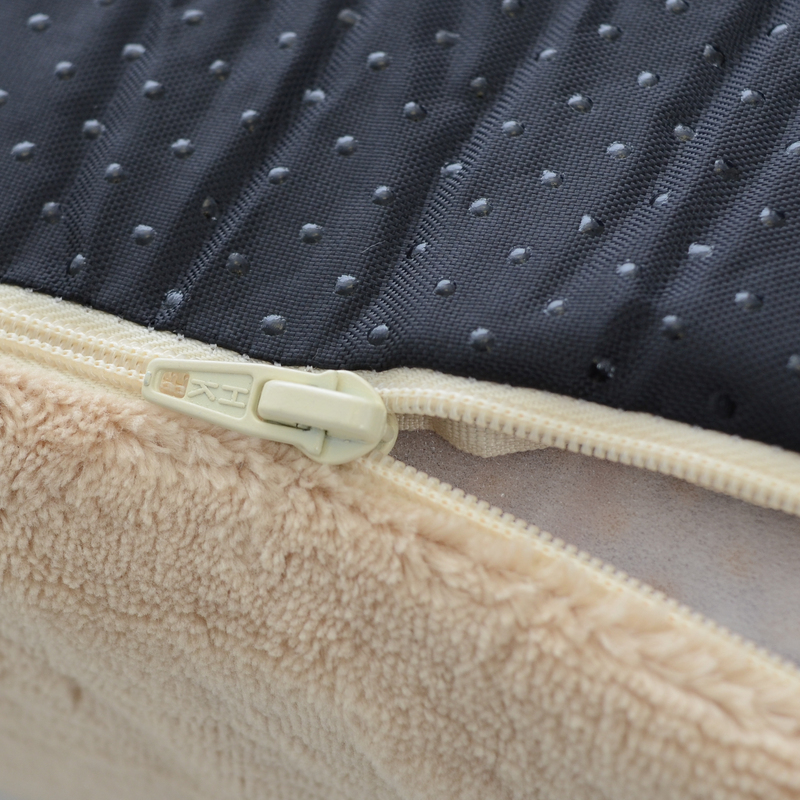 CONVENIENCE – The washable cover zips off and goes in the wahsing machine for easy care. 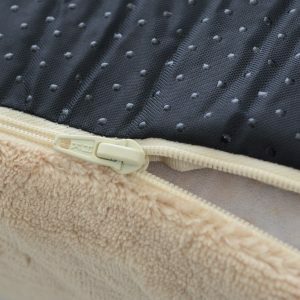 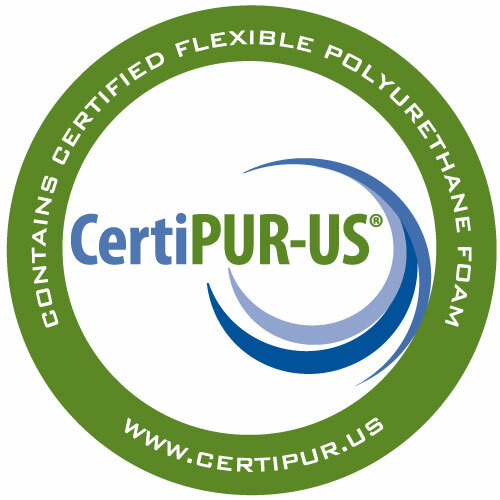 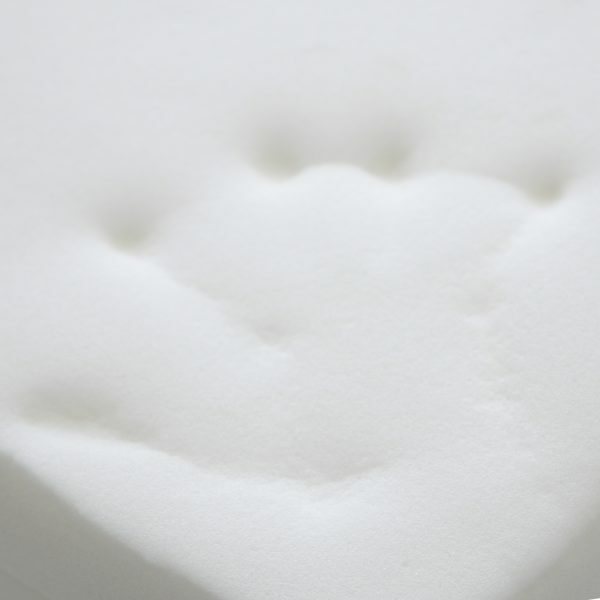 SAFETY – The rubber grips on the underside of the cover are non-slip, and all our foam is certified by CertiPUR-US® to contain only safe and chemical-free materials. 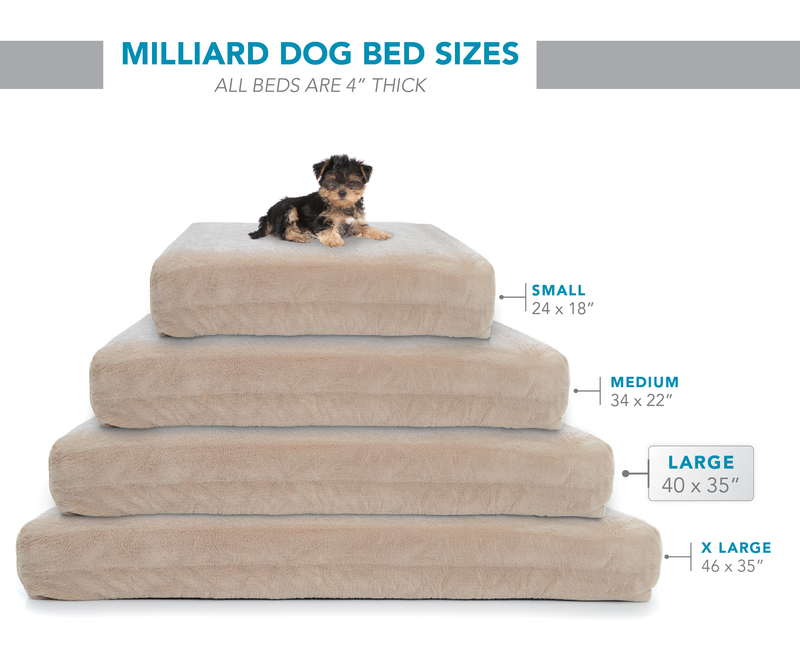 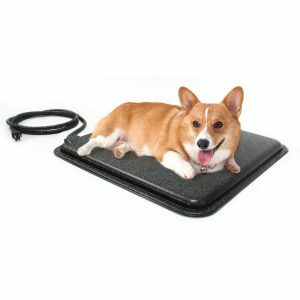 SIZE – The small dog bed measures 34in.x22in.x4in. 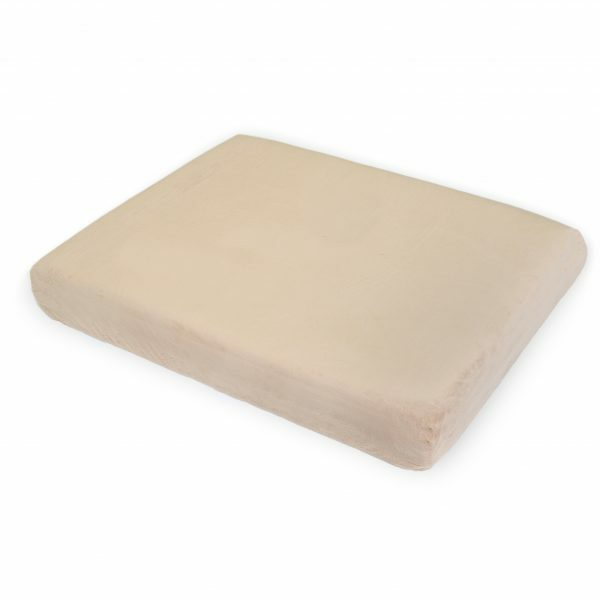 This dog bed has two inches of luxurious memory foam over a two inch firmer foam base for comfort and support that won’t sag or sink to the ground. The non-slip bottom ensures it will stay in place and it comes with a waterproof washable cover for easy convenient care.